Opera Santa Barbara has named Frederick Sidon and Duncan Mellichamp Honorary Board Members in recognition for their many extraordinary efforts on behalf of the company. Current Board members conferred the title on Messrs. Sidon and Mellichamp during a brief ceremony today at the University Club. Both men are emeritus directors and longtime supporters of Opera Santa Barbara. 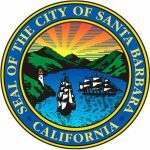 Mr. Sidon served on the Opera Santa Barbara Board from 2001 to 2008, and was president from 2004 to 2008; Mr. Mellichamp served as a Board director from 2003 to 2014, and as president from 2009 to 2012. Both are credited with greatly expanding the company’s visibility and artistic stature through community outreach, stepped-up fundraising, and engagement with topline talent. A founding member of the chemical engineering department faculty at UCSB, Mr. Mellichamp earlier was a research engineer at DuPont after earning a Ph.D. in chemical engineering at Purdue University. He is the author of more than 100 research publications on process modeling, large-scale systems analysis, and computer control. His early computer work led to the book Real-Time Computing with Applications to Data Acquisition and Control, and he co-wrote the award-winning undergraduate textbook Process Dynamics and Control. Mr. Mellichamp and his wife, Suzanne, have endowed 15 academic chairs and an annual lectureship at UCSB. Together they hold the Santa Barbara Medal, the highest honor conferred by the Chancellor, for contributions to UCSB, and the Griswold Award from Santa Barbara Beautiful for contributions to the community. A resident of Santa Barbara since 1993, Mr. Sidon retired the year prior as president and CEO of Princeton Overseas Consulting Group, which specializes in corporate strategy. He previously served as a vice president and board director for the management development firm Kepner-Tregoe, where he oversaw office openings worldwide. He has lectured at Harvard Business School, the Woodrow Wilson School at Princeton University, and many institutions abroad. Currently president of the French Network of Santa Barbara, Mr. Sidon has been awarded two knighthoods by the French government, the Order of Arts and Letters and the National Order of Merit. He served as a faculty member at the first three Davos Symposiums (now known as the World Economic Forum).